Shooting photographs of holiday lights can be a great way to celebrate the holiday season, whether you're shooting your own indoor decorations, the neighbor's overwhelming collection of lights that turns night into day, or the city's large Christmas tree. However, such photographs can be a little tricky to shoot, as the external lighting in the scene will be dark, while you'll have pinpoints of light that can throw off the exposure settings of your camera. Although these photos can be more difficult to shoot with a point-and-shoot, beginner-level camera versus an advanced DSLR or DIL camera, nearly any type of camera can capture great holiday light photos, as long as you're using the right techniques. Try these tips to make the most of shooting holiday lights. 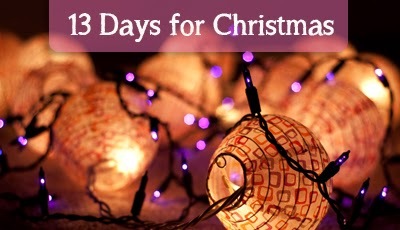 Much of the time, you'll be shooting in a dark or dimly lit environment, which allows the holiday lights to stand out. Achieving the proper exposure can be a challenge in this shooting environment, and some point and shoot cameras will not be able to match the situation with automatic settings. Try turning off the flash or using a "night" scene mode for shooting holiday lights. Another option is to use a fireworks scene mode if your camera has one. Consider using a tripod when shooting holiday lights. Because of the dimly lit environment, the camera automatically decreases the shutter speed, which could lead to some blurry photos from camera shake. Be sure to use your camera's image stabilization feature. With some cameras, shooting in a night scene mode or a fireworks scene mode can require a tripod to work properly. If you don't have a tripod available, set the camera on top of a wall or table to keep it steady. With no other options, brace yourself against a wall, a tree, or doorframe when shooting the lights to help steady your body and the camera. Keep your elbows close to your body. If you have a viewfinder on your camera, use it, as holding the camera against your face will help to keep it steady. When shooting outdoor lights with a covering of snow on the ground, the glow of the lights reflects off the snow, which creates some interesting photos. However, you'll have to use a very slow shutter speed to pick up the reflection, meaning a tripod is recommended. Keep in mind that shooting holiday lights doesn't have to be limited to outdoor photos. Consider shooting the lights on your indoor holiday tree from outside, through a picture window. The lights will give your house an interesting look when seen from the outside. If you just can't seem to capture the correct color of the holiday lights, if the colors seem a little dull, try adjusting the colors, perhaps selecting a vivid color mode, which may help the lights "pop" in terms of the color against the dark background. Candle lighting is another holiday tradition that can be nice to photograph, whether it's family members lighting candles to reflect a special symbolism or just a beautiful arrangement of lit candles. When shooting lit candles alone, try using a tight shot of the candles and disable the flash. When shooting someone lighting the candles, you may need to back up a bit and use a fill flash. Or you can use the reflection from the candle's flames in the face of the person lighting the candles to illuminate the scene.